TruZMA is the newest additon to PES’ Superior Essentials lineup that combines ZMA with Shilajit Fulvic Acid for better testosterone production and recovery. So far, the company has released Forskolin-95+ and TruCreatine. The next addition to the lineup is TruZMA. PES has just unveiled the label ahead of the product’s debut and we’ve got a full breakdown for you below, as well as an honest discussion on ZMA. As promised, TruZMA contains the patented ZMA formula plus two bonus ingredients to further help your nighttime recovery needs. 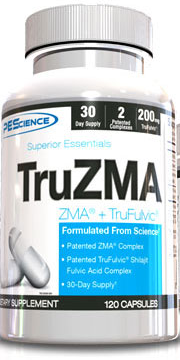 TruZMA combines fulvic acid from Shilajit with ZMA and Vitamin B6 to support muscle growth and recovery while you sleep. We’ll start off with the new and interesting ingredient that no other ZMA products on the market use. Shilajit is a sticky, thick, tar-like compound that is often found among various mountain ranges including the Tibet Mountains, the Caucasus Mountains, and Altai Mountains to name a few. It’s often used in Ayurvedic medicine due to its high mineral content. 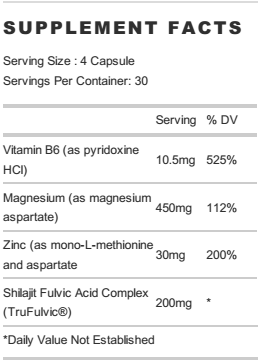 However, the important compound we’re interested in is the high fulvic acid content of Shilajit. Fulvic acids are a sub-category of humic acids that have lower molecular weight and higher oxygen content than humic acids. None of that really matters in the context of this product, but this is a relatively unknown ingredient to most of you, so it never hurts to explain a little more. So what can it do for you? Furthermore, fulvic acid also improved the quality and activity of sperm in men. As we know, the greatest release of growth and recovery hormones (testosterone being one of those) occurs while we sleep. Helping to boost T levels during the nighttime hours can only help you to grow more muscle and wake up feeling better! Zinc is a crucial mineral many of us don’t get enough of in our diets which can impact sleep and testosterone production. 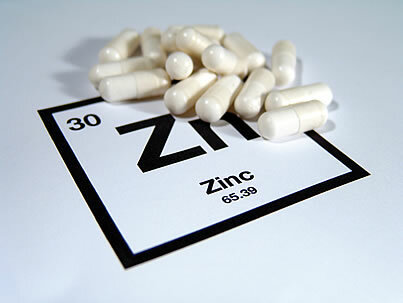 ZMA is a trademarked combination of Zinc, Magnesium, and Vitamin B6. Since its inception, the formula for ZMA has remained the same: zinc monomethionine and aspartate (30 mg), magnesium aspartate (450 mg), and vitamin B6 as pyridoxine hydrochloride (10.5 mg). Although it’s only three simple ingredients, it’s long been a quick, and cheap, go-to option for those looking to improve the quality of their sleep. While research on ZMA itself is relatively thin concerning sleep quality, there is some promising research on what it can do for T levels – especially if your diet is deficient. A study in the Journal of Exercise Physiology tested ZMA on football players to see its effects on strength and hormone levels. After the 8-week trial was completed, the group using ZMA was found to have: gained strength, increased testosterone by 30%, and a 5% increase in IGF-1 (a very important growth factor in the body). This is the study that started the whole hoopla and hype surrounding ZMA. Interestingly, both before and after the subjects were within regular Zinc and Magnesium ranges – meaning there may be something more going on here than just “covering for deficiency”. However, the 30% increase, while nice, but caused an avalanche of insane marketing that lifted ZMA’s expectations far too high. So even if your diet is on point with your zinc and magnesium levels, it’s worth considering — and doubly so if your diet is not perfect. Packaging ZMA alongside Fulvic Acid only makes sense if you’re looking to maximize growth and recovery while you sleep in the most natural way. These two will work hand in hand to boost testosterone and help you recover quicker. As this is heavily geared towards improving testosterone levels, PES has given instructions for both men and women. Men are advised to take 4 capsules 30-60 minutes before bed, while women should take 2 capsules 30-60 minutes before bed. This can definitely be “stacked” with just about anything out there, including Forskolin-95 (which is discussed in more detail in our Forskolin post). You can still use a fat burner, pre workout, protein, creatine, etc when on ZMA — they’re just typically taken at a different time (which is why we put “stacked” in quotes). If anything, check to make sure your multivitamin doesn’t already have a ZMA blend. Chances are it doesn’t, since ZMA takes quite a bit of space up and usually requires a few capsules on its own. ZMA supplements have had an interesting ride. Way back when the original study came out proclaiming 30% testosterone gains, the industry went wild, and the marketing nonsense kicked into full gear. The truth is this: 30% gains sound good — and they are — but they’re by no means “steroid-like”. The discrepancy between the overly-high expectations and the actual results put ZMA products in a bad (or at least overrated) light for a while. However, things have since leveled off on that front, and we now have lower prices and realistic expectations: ZMA supplements aren’t going to monumentally change your life, but they sure will make it better. The fact is that if you’re reading this and not supplementing, you’re likely magnesium-deficient – we just don’t get enough of it. The magnesium alone makes ZMA worth taking – and along with that will come a lot better sleep, which you probably also need. And to top it off, nearly everyone loves the “ZMA dreams”, as inspired by the B6. PES’ Superior Essentials lineup now stands at three products, what is next for the company? 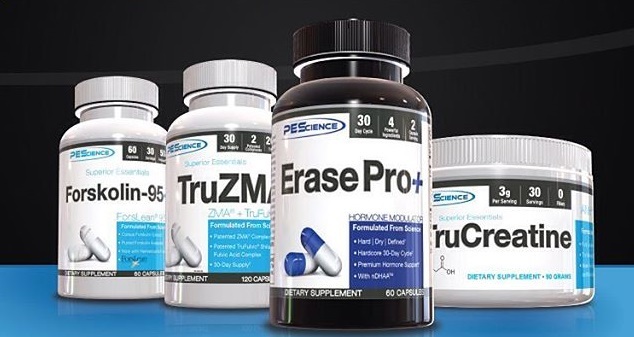 TruZMA should deliver just what it promises, as PEScience does with all of their other products. Proven ingredients in efficacious doses that get the job done. There’s no fluff or filler here, just straightforward, no-nonsense ingredients to help you sleep better and recover faster during those crucial nocturnal hours. What’s ahead for the expanding line of Superior Essentials? We’re not sure, but you can bet we’ll be the first to cover it as soon as the news breaks. Make sure to sign up below to stay in the loop with all PES developments and find out where to get the best deals all across the internet! No Comments | Posted in New Products, Supplement News | Tagged Fulvic Acid, Magnesium Aspartate, Shilajit, Vitamin B-6, Zinc, ZMA.